Due to concerns about the capacity of facilities and car parking at Meadowmill, there will be no Under 12 races at this round of the Scottish Cyclocross Series. 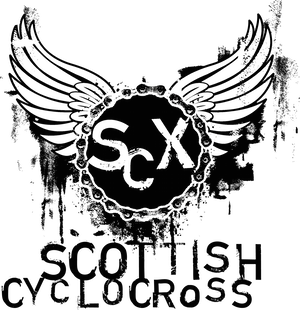 There is still cyclocross race action that weekend, with a training and race event on in Innerleithen on Saturday. Click here for further details. We are sorry to have to cancel the U12 race. We did intend to run this but concerns from the council-run Meadowmill centre about total numbers on the day have forced us to cancel it. We do not want to have to limit numbers in the other categories therefore have pulled the U12 race. We will discuss with Meadowmill after this years event how to manage the numbers more effectively. The car park is probably not going to be a problem so please don't think this was the primary reason for cancellation. Can you race with bar ends on flat bars or do I need to take the bar ends off? U12 race being cancelled is a disgrace, most parents compete so this will make little difference to the parking issues. The organisers must have known about this issue so why leave it until 1 week prior to the event, we should be promoting childrens cycling, this is a joke!!!!!!!!!!!!!!!!!! Firstly I have to say that we should all be very pleased that someone /persons have taken the effort and consideration to organise some junior coaching on the 2nd Oct. For that to occur is really great and does show an interest in promotion of cycle sport for young people. However lookng back at last season I am not convinced that age groups for U12 /8's were accurately adhered to and feel that children were kept waiting for far too long on start lines wearing very little in winter conditions, caused by last minuite changes of course, and also how many laps and also what catagories would set off together, numbering issues etc. It was very dissapointig for there to only be limited results posted for the junior races and that placings were not always accurate with a winner at one race being completely missed and another child having to be told a week later that he had not actually won. All these things in conjunction will soon wear thin with the parents who spend the time / money bringing their childen to the events. I hope that the race oranisers for all the events and the overseeing governing body takes heed and has a definite focus to improve the organisation of the junior races so that they are more efficient and all the organisers are singing from the one hymm sheet. Looking at how things have come about I wonder if, Innerleithen MTB / Scottish cycling have thought it would be a good idea to do a pre season training /coaching day for kids, left it a bit late and then realised the clash of dates and asked the cyclocross organisers to cancel the U12 event so that there is a greater chance of the kids attending the coaching.. Might be reading a little too much into it however. The Car park capacity idea doesnt really sit right as the above post points out it is primarily the children of existing adult racers who will be attending. Secondly is it acceptable that if car parking is the cause, should the childrens race be the victim, what about another catagory? who will be next to be axed.. mens vets .. ladies ..
Oh, and could this have been communicated better? I did send our details in as per the request on this site on the 27th August. Someone could have emailed me to explain that the u12 race had been cancelled. bike without restriction". As long as your bike is safe to you and others then it'll be fine. Make sure you have bar plugs fitted. It's regretable that the U12s race have been cancelled at Meadowmill, but event organisers sometimes have to make hard decisions. The facilities at Meadowmill are now fully booked, hence concerns with car parking, changing facilities, etc. As a result of feedback from last season (provided by Scottish Cycling), we've made a couple of changes to improve conditions for U12s - mainly moving the races to being first up to prevent U12s racing on cut up courses (which was the main cause of late course changes). As for communication, I was out of the country on business, so passed on the news here as soon as I could. Thanks for the quick response. I appreciate that you're not the organiser of this event and were only passing on the news as quickly as you were able. I also appreciate the changes that are being made this season to improve u12 racing, but was just passing on the disappointment of a young racer who was ready to start his season this weekend. However I'm struggling a wee bit with how lack of car parking & facilities can be unforeseen circumstances (description on BC website), rather than something that would have been taking into consideration when the event was booked some time ago. We appreciate the disappointment into the late cancellation and will discuss with organisers further. Regards communication, many leagues have a email newsletter which people sign up for on the race series website. The organisers can then at the click of a button (in my fairly simple IT mind) send out a message to everyone who has chosen to register. I am confident anyone who has geniune intent to race would do so. Secondly with regard to emailing the details to organisers in in advance, Does this not create more work for the organisers, populating lots of forms and then having costs to print out etc and then having to sift through the pile to find a persons form when they turn up at sign on. Why doesnt the association publish a pdf of this form online and make it a condition of entry that the racer fill it in a bring it to the event? or go to Entry central for the whole series so that people are not running the risk of driving 100 miles to turn up late and not be allowed to race due to it being over subscribed. It is very pleasing to hear that some consideration is being put towards U12 races. And the idea of them racing first is very sensible. if results will be calculated digitally can the full results (instead of top 3)for each U12 catagory be posted after the event as a child is probably the keenest of all racers atending, to see his name on the website and see where he/she came. Many thanks for addressing the posts above posts and it is very good news to hear that development such as digital timing is forthcomming. For families who all intend to compete your new seperate seniors race will be quite helpful, as two parents who wish to race and brought a young child would have previously had a childcare issue. If it is GUARANTEED that the races will be seperate then those families would not have to find another person to bring to the race to look after their child. Probably only applies to the minority! It may see an increase in people racing ! Just out of interest Which catagory has been chosen to have the chance of winning the Ridley X-BOW, at retail of about £999 its an awesome prize. If it is the seniors catagory, is there not only a handful of people capable of winning it? most of whom would be on fairly top line bikes anyhow, what about a ballot accross all catagories for any person who enters the key number of 7 events in the series. This keeps it fair amongst the sexes and ages, (otherwise you may have vets entering the seniors for the prize) and may also lead to someone who has shown commitnment to the league but who is a developing racer winning the bike? Hi Keith, thanks for that. Email newsletter - Have looked as newsletters in past, but prefer to keep communications to as few channels as possible. Updates will be here and Twitter (@ScottishCX). Details - this is something we're trying out to see if it helps. Will mainly be used for the sign-on sheet. EntryCentral - organisers can use it, but not many do due to costs (£1 per rider). You can enter events in advance using the details in the British Cycling calendar (linked to on the right) and a paper entry form from the BC website. U12s - won't be timed using the new system. The timing receivers are on an overhead gantry and as courses are often separate to those used for O12s it would be difficult to manage. We'll publish as much detail as we get from organisers. Split of races - this is guaranteed at all series events this year. Ridley bike - we'll check with The Tri Centre who have generously provided this, to see how they want to do it. Many thanks for the quick feedback on quite a long post. I didnt realise about the twitter, thats very "current" he he. I can appreciate the reasons why a club wouldnt want to lose out on the £1 per rider as over a whole field that would add up to a lot of money which could be used for further developments. I was not aware of the costings for Entry Central. Overall I am just keen to see lots of kids racing and having a great time and wanted to raise a few issues that I felt may arise. If you need any assistance on race days my wife and son and I should be attending most events, (atleast 7 ) and if you are short of a hand or need someone to assist counting numbers etc I'm sure that there may be a few other parents out there that would do likewise given that the childrens races are usually free. Hope to see you at Meadowmill in the rain! Also we plan to use Entry Central next year and will absorb the £1 cost to prevent extra charges to racers. "Looking at how things have come about I wonder if, Innerleithen MTB / Scottish cycling have thought it would be a good idea to do a pre season training /coaching day for kids, left it a bit late and then realised the clash of dates and asked the cyclocross organisers to cancel the U12 event so that there is a greater chance of the kids attending the coaching.. Might be reading a little too much into it however. " The event at Innerleithen is a regional event aimed at encouraging local riders to participate in cycle sport. The coaching targets the local clubs and schools giving a focus for ongoing coaching activities. It is very important to have regional events to make it accessible to new cyclists to grow the sport. Hopefully they enjoy the regional events so much that they then want to travel to the national SCX events. So in answer to the comments above there was consideration given to the SCX dates and it was felt that holding a regional event on the Saturday would minimise any possible impact. For those willing to travel they also had the opportunity to race twice in one weekend. The event at Innerleithen was very successful with 63 kids participating in the coaching in the morning and over 70 racing in the afternoon. This was all made possible through the combined efforts of Innerleithen Kids cycling club and Peebles Cycling Club. My role as Scottish Cycling Development Coach was to organise the coaching on the day and support the organiser of the race event. It was also in my schedule to assisit with the Under 12s race at Meadowmill the following day had this gone ahead. I hope this clarifies the situation and if anyone has any comments or would like to discuss this further then I can be reached on 07908 673219. Scottish Cycling East region Devlopment Coach.